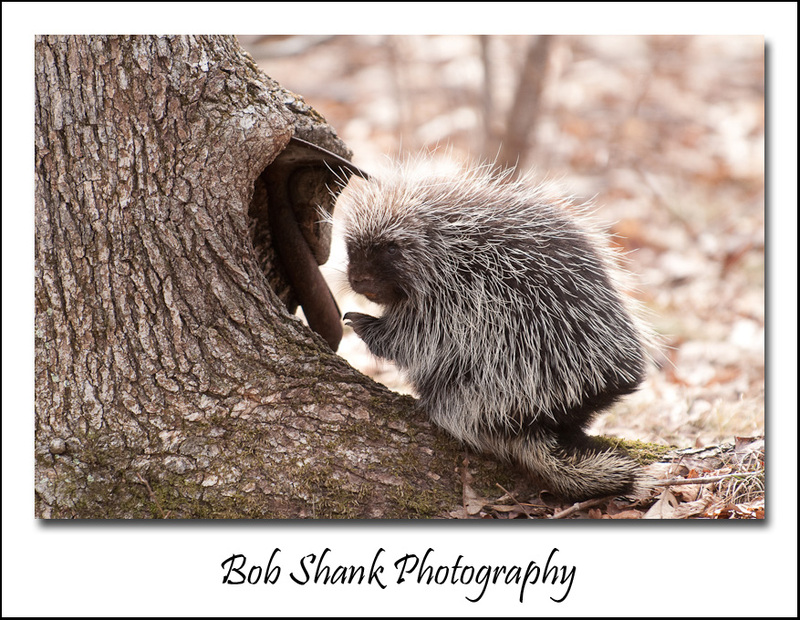 My son and I came across this porcupine several years ago. I don’t know what it is about this prickly animals, but I like them! This particular image is not one of my all-time favorites, but it was good enough to make into iStockPhoto and it has sold several times. I guess that proves I don’t always have the best eye for such things. We actually photographed this porky for quite a while until he grew tired of all the attention and climbed up a tree. It was lots of fun to chronicle this sighting with our cameras. We had plenty to talk about for several days after this encounter! If you look closely, you will see that the hole in this tree was created by a shovel head that is the back side of this tree. This created a nice place of protection for the porcupine. These creatures might be prickly but I think they are cute!